364 pages | 153 B/W Illus. A blend of theory and practical advice, Modern NMR Techniques for Synthetic Chemistry illustrates how NMR spectroscopy can be used to determine the abundance, size, shape, and function of organic molecules. It provides you with a description the NMR technique used (more pictorial than mathematical), indicating the most common pulse sequences, some practical information as appropriate, followed by illustrative examples. This format is followed for each chapter so you can skip the more theoretical details if the practical aspects are what interest you. 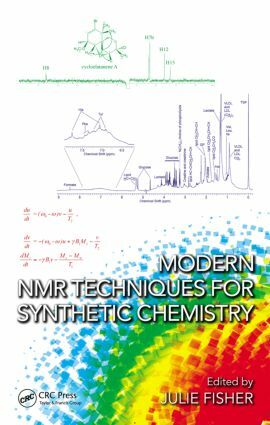 Following a discussion of basic parameters, the book describes the utility of NMR in detecting and quantifying dynamic processes, with particular emphasis on the usefulness of saturation-transfer (STD) techniques. It details pulsed–field gradient approaches to diffusion measurement, diffusion models, and approaches to ‘inorganic’ nuclei detection, important as many synthetic pathways to new organics involve heavier elements. The text concludes with coverage of applications of NMR to the analysis of complex mixtures, natural products, carbohydrates, and nucleic acids—all areas of activity for researchers working at the chemistry-life sciences interface. The book’s unique format provides some theoretical insight into the NMR technique used, indicating the most common pulse sequences. The book draws upon several NMR methods that are resurging or currently hot in the field and indicates the specific pulse sequence used by various spectrometer manufacturers for each technique. It examines the analysis of complex mixtures, a feature not found in most books on this topic.